Whether you’re running a grassroots organization, a lobbying campaign or an election campaign, issues matter. As legendary South Carolina political consultant Lee Atwater used to say “Issues win campaigns”, and he was exactly right. Issues win campaigns because campaigns are about people…and people are moved by issues. 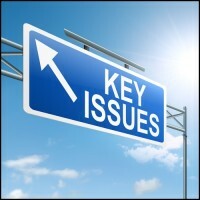 Issues can be used to unite voters behind a cause or candidate, or divide them away from a cause or candidate that they may currently support. They can also be used to compliment a candidate or group’s image, if they’re consistent with the image that you want to portray. Most people hate politics. They don’t typically get involved because they’ve got too much spare time on their hands. Something motivates them. They care about something. Find out what that is. Find issues that are relevant to the people whose support you need and that are important enough to move them to take action. The kind that not only motivate people, but that sometimes may even divide your supporters from your opponents – passionately. In many cases it can even work to your advantage to make an election, a vote you’re lobbying, or even a PR campaign, into a “referendum” on a specific issue or group of issues. In other words, you can piggy-back on public support for an issue that people care about by equating support for your cause or campaign with support for that issue. Don’t try to talk about every issue under the sun. It’s one thing to have a lot of issue positions as part of a platform, but that doesn’t mean that you spend all of your time and resources talking about all of them. Focus on YOUR issues. Remember that in order for issues to have an impact, people must be aware of the differences between you and the opposition. They have to be highlighted aggressively and repeatedly. Zoom in on the few issues that will do your cause or campaign the most good…and then wear them out like a rented mule.